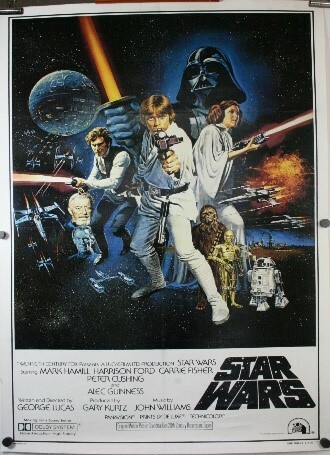 The recent purchase of the most expensive Star Wars movie poster recorded on the internet, the “Triple Bill”, purchased by South Carolina restaurant owner Bobby Simons for $20,500, inspired a closer look at Star Wars poster sales in general and to see if this is in fact the “case-in-point” for observed poster sale price rises across the poster collecting market. 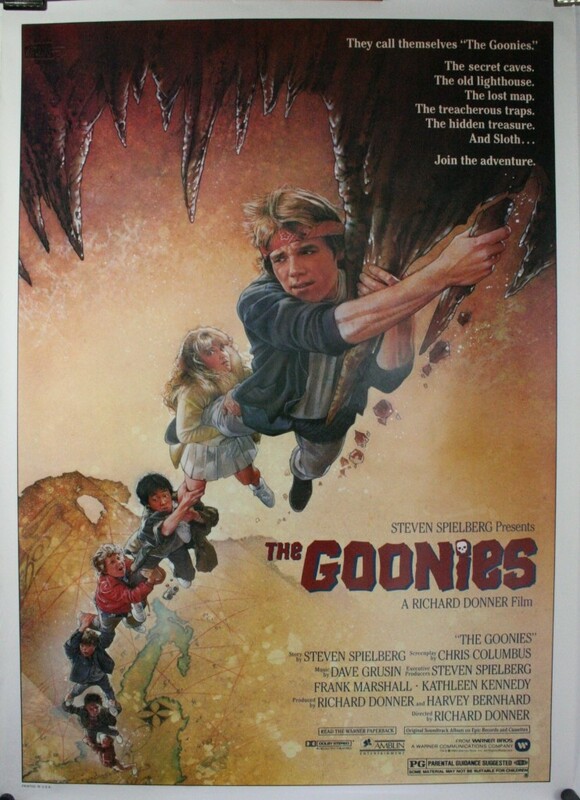 This article discusses why movie posters become valuable and uses this historical purchase of the “Triple bill” as an explanation for why internet recorded sales prices are on the rise and why they aren’t likely to slow down. The Star Wars “Triple Bill” (Figure 1. 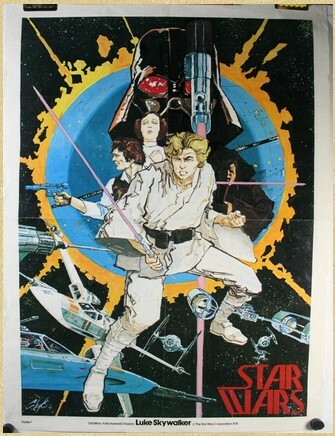 ), also known as the “Star Wars Trilogy Poster” sold July 10th, 2014 at auction house Emovieposter and became one of only a few Star Wars posters to fetch a sum of this magnitude; with only the Howard Chaykin original artwork (figure 2) selling for more at Bonham’ auction house in 2005 for $36,500. The sale has needless to say caused a stir of excitement through the poster collecting community. 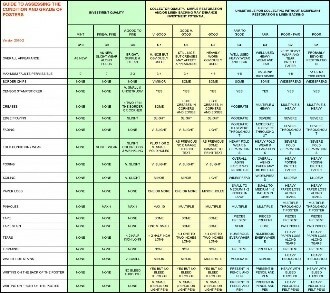 This isn’t the only poster or collecting sub-genre to show a major increase in sales prices; since 2010 Jaws (Figure 3a.) had an estimated increase of 160% and an unfolded and dated Revenge of the Jedi (Figure 3b.) has gone up by 32% (ref. Emovieposter). More impressive still, the mega rare poster, Metropolis from 1927 (Figure 3c.) sold in 2005 for $690,ooo, increasing in price from its next most recent sale in 1997 of $357,750 (ref. RT.com). Both of these sales we’re however slightly different poster versions. 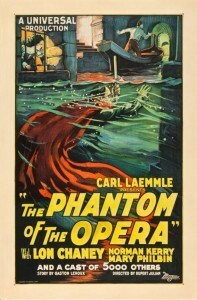 Also, Phantom of the Opera was bought earlier this year in 2014 by Ralph DeLuca for $203,150; up from its previous sale of $155,350 in 2008 (ref.paulfrasercollectibles.com). But to some, this apparent rise in movie poster sales prices begs the question why? The question drives to the core of the movie poster collecting hobby; what makes a movie poster valuable? Very simply: supply and demand. It is these two simple truths that not only generalize why movie posters keep selling for larger amounts of money, but they assure prospective buyers that posters are not just a novelty purchases for the rich and famous that depreciate over time, but are real financial investments for the future . What Makes Movie a Movie Poster Valuable? We propose that Supply and Demand are the basis for why movie poster sales prices keep rising and that these two truths fortify the right movie poster purchase as not just a decoration for your media room, but as an investment to cash in on in the future. This is not a new concept, Ed and Susan Poole proposed Supply and Demand also as the controlling factors on poster values (LearnAboutMoviePosters, 2002). But what does supply and demand specifically translate to in the movie poster collecting business? Supply loosely refers to the posters rarity. 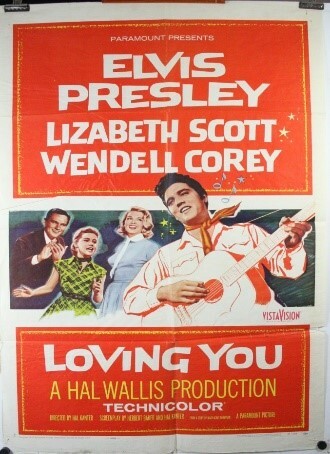 While all movie posters were never meant to be released to the general public and all were meant to be either sent back to the National Screen Service (NSS) or destroyed; some movie posters are far rarer than others. This can be due to many different reasons, but some of the most common are: age (theatrical movie posters were printed on inferior paper and so degrade quickly), the number of theaters a film was released to, if the film was re-released, if it was a special print run, if the poster was recalled, if it was an advance/teaser, or if it contains a printing anomaly. 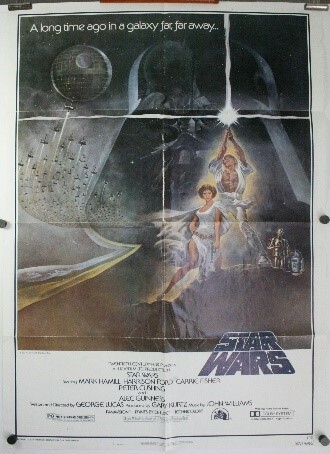 The Star Wars “Triple Bill” poster was released between November 17-18, 1984 in Canada and on March 28, 1985 in the United States for a complete, “one performance only” showing, of the Star Wars trilogy to nine participating theaters. 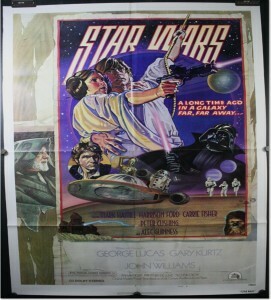 These nine theaters were each given two personalized posters for the promotion of this event (Figure 4), causing many collectors to believe this to be the “Holy Grail” of Star Wars posters and is widely considered to be the single rarest Star Wars movie poster of all time! 18 produced posters mean these are in very, limited supply. The rarity of a poster and its general accessibility by the public is one important factor when considering a poster’s appreciation potential; however, it is in itself not the single determining factor if a poster will go up in value or not. A film can have one poster in existence, but if no one wants it, then it will sell for a relatively low price; therefore, one must also consider Demand. Demand – Is it desirable? Demand can be understood by analyzing these 5 influential factors; a film/poster’s general context in history, if a particular culture identifies with it, what the poster’s condition is, if it features the image of an iconic actor/actress or is by a sought after director/producer, or if the poster portrays in an artistically desirable way a particular subject matter (ex. hot rods, motorcycles, space ships, aliens, robots, etc.). Anomalies or exceptions to these factors occur because of knock on effects that stimulate or diminish demand; these effects can have volatile repercussions to the market. 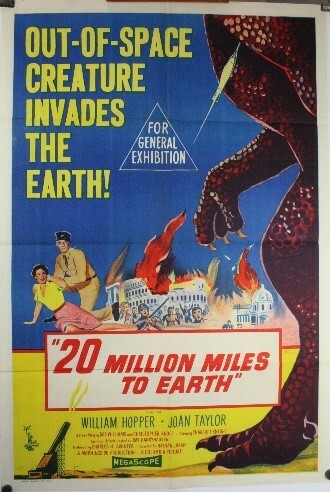 For example a general increase in movie poster purchasing was caused by a trend toward building media rooms. Formerly, it was not uncommon for houses to be built with a game room; nowadays, with the drop in price of the flat screen TV, people are demanding new houses to be built with media rooms or to have unused rooms converted. 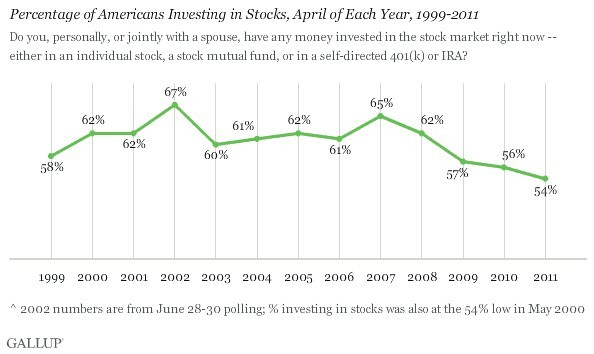 Another example is American’s general movement away from the stock market in the last 5 to 10 years (Ref. Gallup) (Figure 5.). 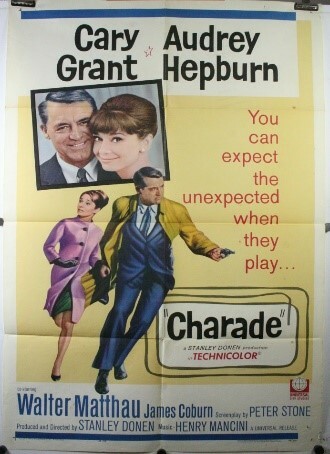 Yet another example is a trend amongst interior decorators to use movie posters as a theme when decorating homes (Ref.myinteriorslife or apartmenttherapy) (Figure 6.). The opposite happened after the 2011 Mel Gibson’s antisemitic rant towards a Jewish cop in California. 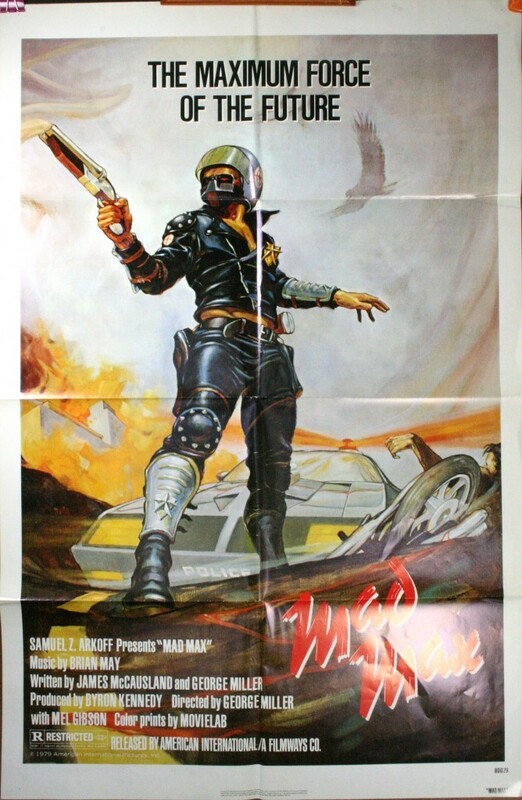 The Mad Max poster’s (Figure 7.) average sale price steadily increased between 2001-2010 and sold for an average of $200 in auctions; and following this scandal the poster plummeted to an average sale price of $125. Setting aside, knock on effects, the next step is to understand what each of these points really means in order to understand if a poster’s value will rise or fall. Many films and posters represent a turning point in history; like Metropolis, from 1927 which is considered to be the first full length feature film in the sci-fi genre, or the Star Wars half sheet (Figure 8c.) which was the last time a half sheet was made with altogether different artwork than that found in the other poster styles. 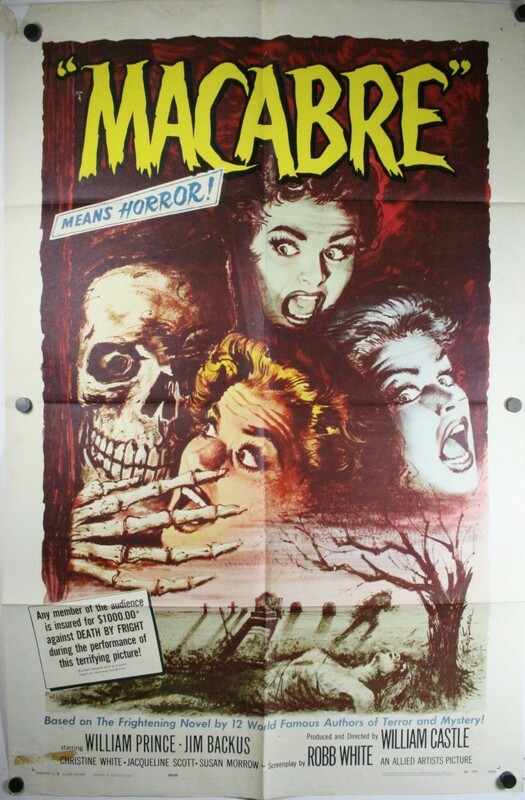 Other films or posters have historical context if they portray something for the first time; like William Castle’s use of the gimmick, first introduced to Hollywood in his film Macabre (Figure 8a. ); where he gave out a $1,000 life insurance policy from Lloyd’s of London and stationed Nurses and Hursts outside of Theaters. Films that caused lasting changes to a society increase demand; like Cannibal Holocaust from 1979 (Figure 8b.) which became a case study for animal rights activists. Their uproar following the release of this film and its brutal slaughtering of 7 animals put a stop to animal cruelty in film. Without this film, our government’s historical context for how it mandates treatment over the animal kingdom in film would be different. 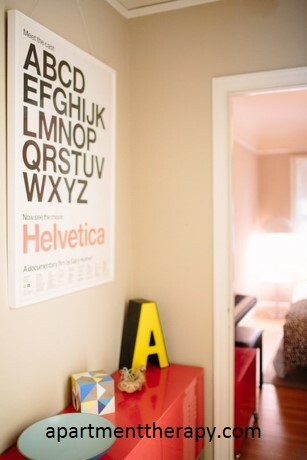 These historically derived factors can create a never ending demand for a poster. 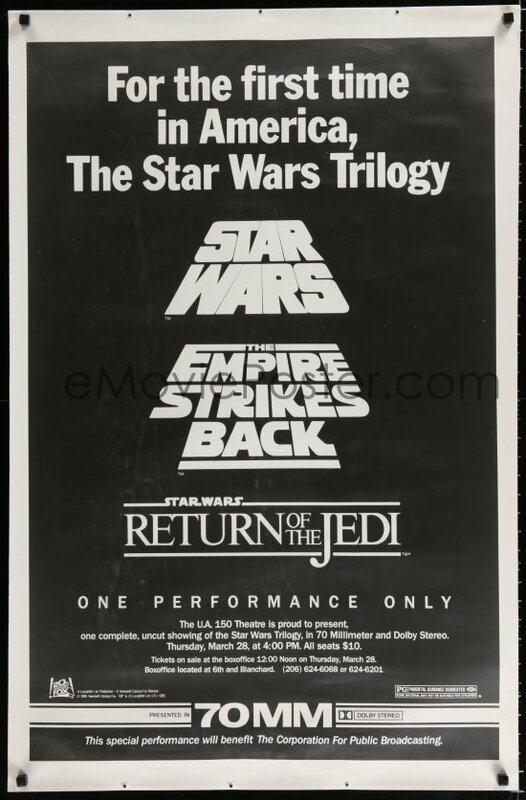 The Star Wars “Triple Bill” had two personalized posters released by Lucas to 9 theaters in the US for the first uncut showing in 70mm of the Star Wars trilogy. While this trilogy was released to other countries, those will never likely fetch the sums possible for the original 18 released in the US. This is because the US is also the country of origin for this film. Another interesting piece of evidence to the historical context of this poster was that it was printed using a blown-up enlargement of a newspaper clipping and had featured the individual theater’s name on the poster of the theater it was sent to. No other examples of this technique are known by this author for generating original poster artwork. These facts are important historically because the Star Wars films touch on a later point, cultural identification. Some films were just so important that the films themselves changed the behavior of society; Jaws, Star Wars, Night of the Living Dead, King Kong, Gone with the Wind and the list goes on. 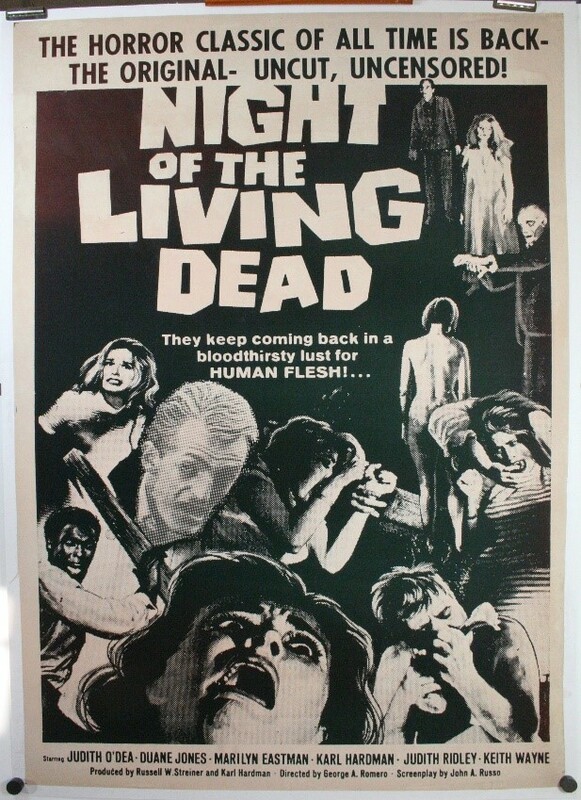 A poster representing a societal milestone like the menacing man eating shark from Jaws, or the looming monstrosity from the jungle, the mighty King Kong, or George Romero’s first time showing of actual SCARY zombies in Night Of The Living Dead (Figure 9. ), or George Lucas’s space odyssey Star Wars, that touched on the natural fantasies and desire of humanities need to escape this world (Figure 10a-c.). Each of these films had a very specific effect on western society as we know it and one that goes so deep it causes the movie posters for these films to rocket up in price; even though they may not necessarily have the best artwork, or aren’t necessarily very old, or necessarily very rare! If a society as we know it identifies with a film, the value a poster for this film will sell for, may know no bounds. Cultural identification is not just a subjective point, it can be quantified by the number of poster runs made, the number of poster styles issued at the release, the number of times the film was re-released to theaters, if the film had Award posters issued because they won an Academy award or Grammy, or if the film was re-released at a particular anniversary. Star Wars for example had the first poster advertising material released in 1976 at the San Diego comic con by artist Howard Chaykin (Figure 2) known as the “Chaykin” Star Wars poster or “poster 1”. The film, when it later released in 1977, had 3 different standard 1 sheet poster styles printed for US theaters and are fondly known as the; Style A, C and D (Figures 10a-c). The style A alone had 4 print runs when it was released in the US! These can be read about in greater detail here <Star Wars four print runs>. More proof still to western culture’s clear identification with Star wars, was that it was re-released 6 TIMES to theaters! It was released once in 1981, then again in 1982, then again as a trilogy for the “Triple Bill in 1985, again in 1987, 1992 and then finally in 1997 for the digitally re-mastered re-release. 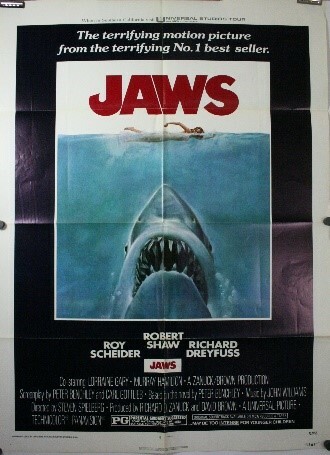 Jaws, Gone with the Wind, King Kong and many others have had numerous re-releases over time. Logically, nearly all poster sales examples show original releases selling for more than the re-releases. Not surprisingly the exception to this trend is more often than not result of one key feature about movie posters; their condition grading. The movie poster industry hasn’t yet adopted one system for poster condition grading; however Jon Warren’s poster condition grading system (Figure 11.) which anyone can read more about here (poster condition grading) is a system which tries to quantify flaws in a poster and to then rate the condition between C1 – C10. 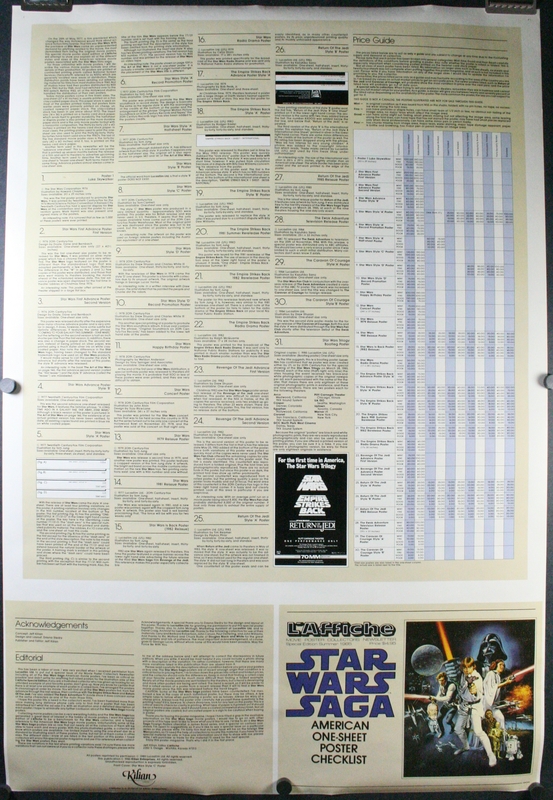 For posters which represent a film that was culturally impacting like Star Wars or Jaws, the condition grading immensely controls the fair market value of the poster. 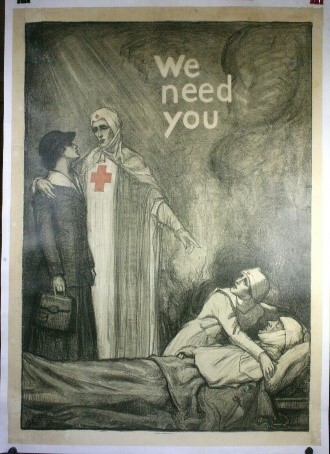 HOWEVER, older posters which are exceedingly rare like Metropolis (Figure 3c.) or Phantom of the Opera (Figure 3d. ); or special print runs like the “Triple Bill”, defy the condition logic and remain to be exceptions to this rule. If a poster is virtually unattainable, then people will spend boundless amounts of money on it, regardless of condition. Many collector’s invest in restoring an otherwise valuable poster and/or they choose to preserve its current condition grading by getting the poster Linen Backed (Figure 12.) <Linen backing Movie Posters>. 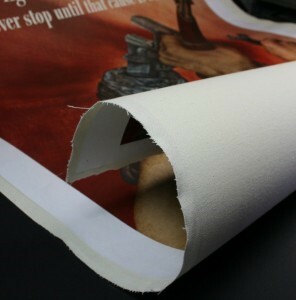 Linen backing and restoring posters, legitimately removes some defects that are acquired with age (ex. removing stains and/or tape, paper de-acidification or general cleaning) and increases the value. This archival and fully reversible process (if done correctly) rescues a poster in poor or fair condition and makes it presentable for display in a collection or on a wall (Figure 13a & b.). While some restoration doesn’t improve condition grading, it can however improve the value. A tattered poster can’t be display because of further risk for damage; however restored, the poster becomes presentable or neutralized of risk of further deterioration. Linen backing and restoration is an aside to the objective of this article, however understanding condition is of paramount importance. This is because as you quest to find the perfect image of Harrison Ford, or that one of Marilyn Monroe or Elvis Presley; remember collectors and Investors will always pay a premium for a poster is in fine (C8) or mint condition (C10). Different generations of people identify themselves with different movies and actors/actresses. 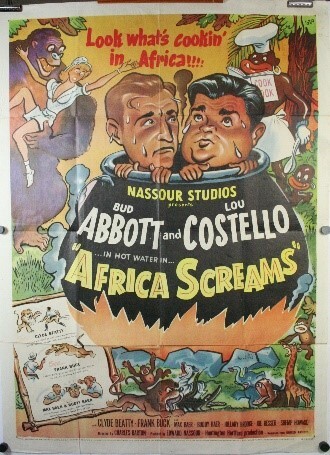 Some cherish Abbott and Costello (Figure 14a. ), others cherish Audrey Hepburn (Figure 14b.) or Elvis Presley (Figure 14c. ); some look to images of famous adventurers like Harrison Ford (Figure 14d. 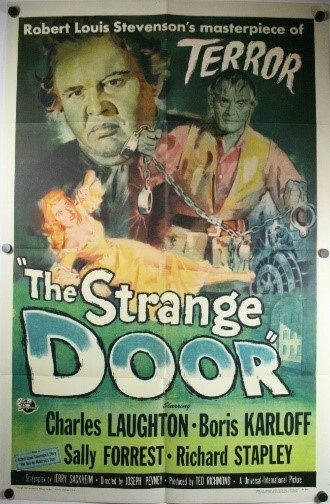 ), or of frighteners like Boris Karloff (figure 15b). The list of timeless icons that have helped to make the movies glamorous and enticing is as long as the film industry itself. Logically, posters which feature this person are good investments. Movies which were considered the best for a specific person are more desirable still. Posters which feature the best image of a person can be worth the most! 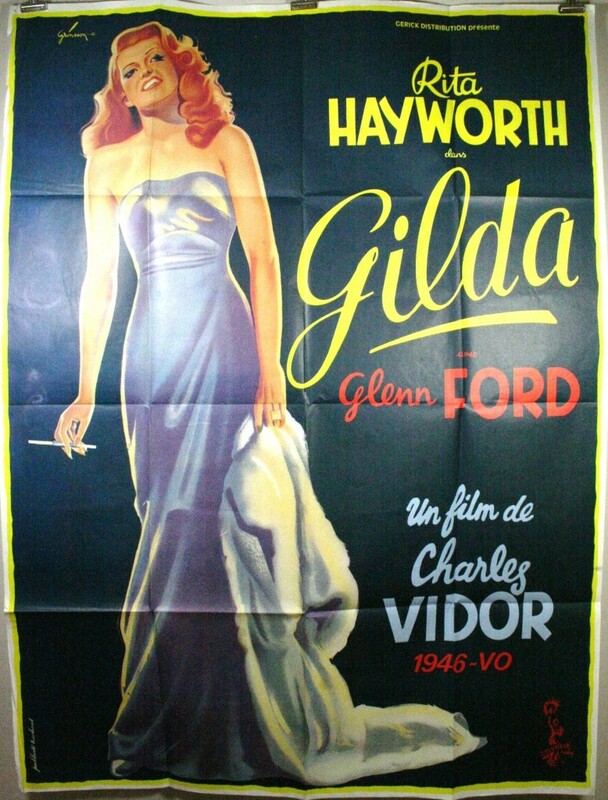 eg Rita Hayworth in Gilda (Figure 15a.). Directors like George Romero (Figure 9. ), producers like Roger Corman (Figure 15c.) and even visual effects icons like, Ray Harryhausen (Figure 15d.) that are critically acclaimed draw serious collectors. In fact collectors focus on anything that is specifically identifiable; like the Hammer film production company, or films based on Edgar Allan Poe’s poetry, Jules Verne’s sci-fi adventures, H.G. Wells alien invasions and the list goes on. While all these factors controlling demand are important and quantifiable when analyzing a poster’s value; perhaps one of the single most important details that underline whether a poster will be valuable or not, is the artwork. Is the artwork of a poster beautiful? Was it done by a famous artist? Does it embody a subject matter that underlines a trend or an area of interest in society like; motorcycles, hot rods, pin-up girls, space ships, aliens or robots? There are countless areas of interest to collect and posters that contain particularly desirable artwork for that subject are wonderful investments and will always have a market of buyers and sellers as long as that subject matter remains important to society. 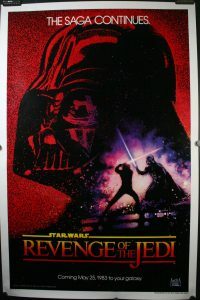 The recalled poster for Return of the Jedi titled “Revenge of the Jedi” (Figure 3b.) 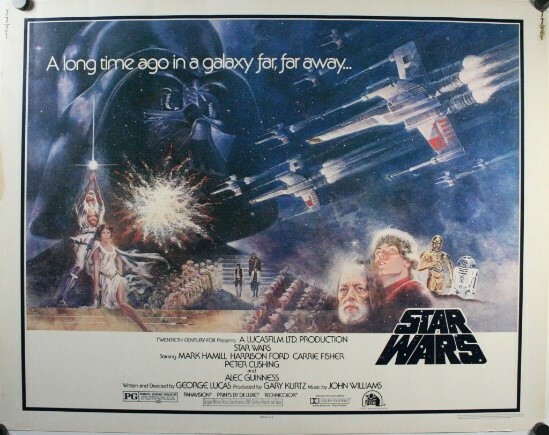 had 6800 posters recalled from theaters for the advance release of Return of the Jedi film; but one of the major reasons this poster is collectible is not just due to the rarity; but is because of the artwork . It embodies the good verse evil struggle we have in ourselves, the epic duel between the protagonist and antagonist and the culmination and climax to one of the greatest Science fiction films ever made! Artist like Drew Struzan (Figure 16a.) 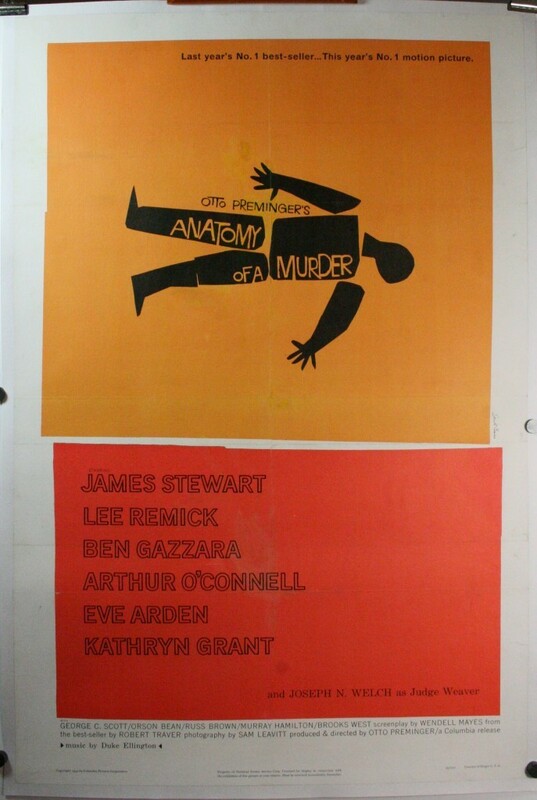 or Saul Bass (Figure 16b. ), command a following of collectors. 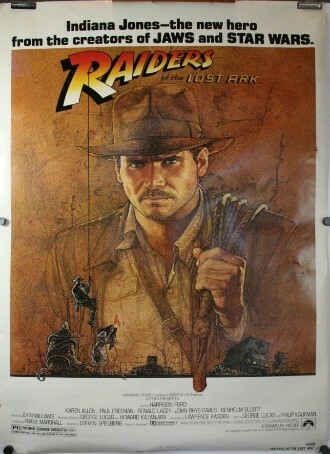 Drew Struzan because of his dramatic and almost better than real portrayal of character actors from monumental films like Indiana Jones and the Goonies; and Saul Bass because of his famed figurative minimalism style artwork that attracts the more classical art collecting community and interior decorators. As the excitement following Bobby Simon’s purchase has subsided, the significance of this purchase has not. The Triple Bill has become representative of a wider trend that can be observed throughout the movie poster collecting market and is a great example of a “case-in-point” that movie poster values are on the rise; and not just now in the last few years, but the trend is evident and quantifiable since the mid 2000’s. The evidence can be seen by the fact that posters are in limited supply and one that is ever dwindling (thus not a commodity); and this general rise in value can be directly observed considering increase in demand from societal trend factors like; media rooms, trends in interior decoration and instability in the stock market. As new collectors enter the hobby what tends to be bought is what tends to increase in value. Individual poster values increase considering 5 key factors: Historical context, cultural identification, condition, actor/director/producer popularity and artwork… The signs are all positive for this hobby to continue this trend and to maintain its current course on a path as a serious mainstream form of investment. 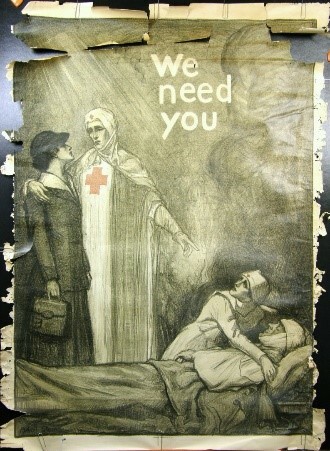 Either way, as long as there are people nurturing a passion for their personal history, and valuing objects of nostalgic importance, posters will remain sought after, valuable and ever rising in price as their quantities diminish and time passes on. To see some of these posters and others, visit our gallery the Limited Edition in old town Katy, Texas. Providing poster sales, Linen Backing, Restoration and Framing services to the Houston, San Antonio, Austin and Dallas regions since 1994.